Application ”OGLeMDI” – FOP Shvachko V. V.
Open Graphics Library (OpenGL) example of Multiple Document Interface (MDI), based on extended Qt code. “OGLeMDI” demonstrates implementation of the main instruments for work with 3D vector images. 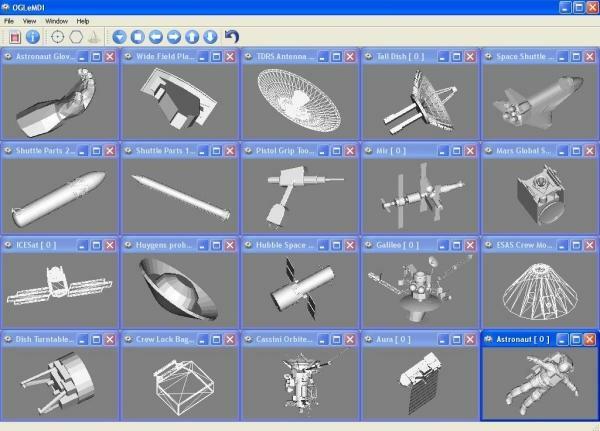 Source code of this application (extensible Qt-project) can be a base for creation of software with using of the 3D engineering graphics. – Organization of access to help information. Executable codes (freeware) for Windows (7 589 KB) and Ubuntu Linux (8 206 KB) operating systems are ready for downloading.